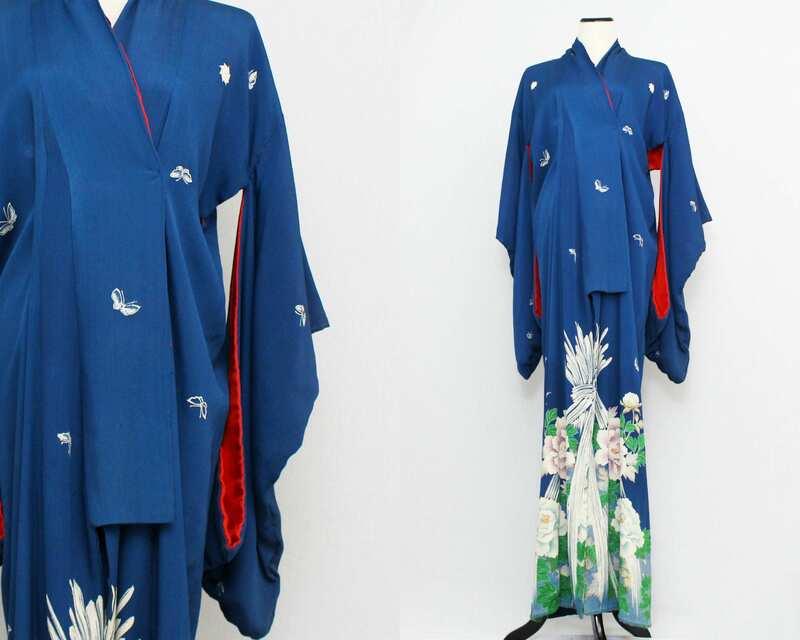 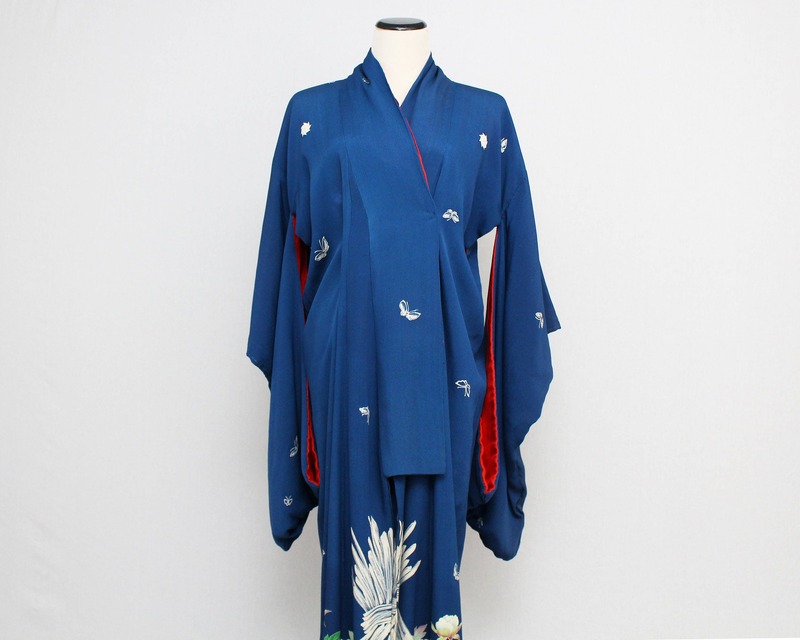 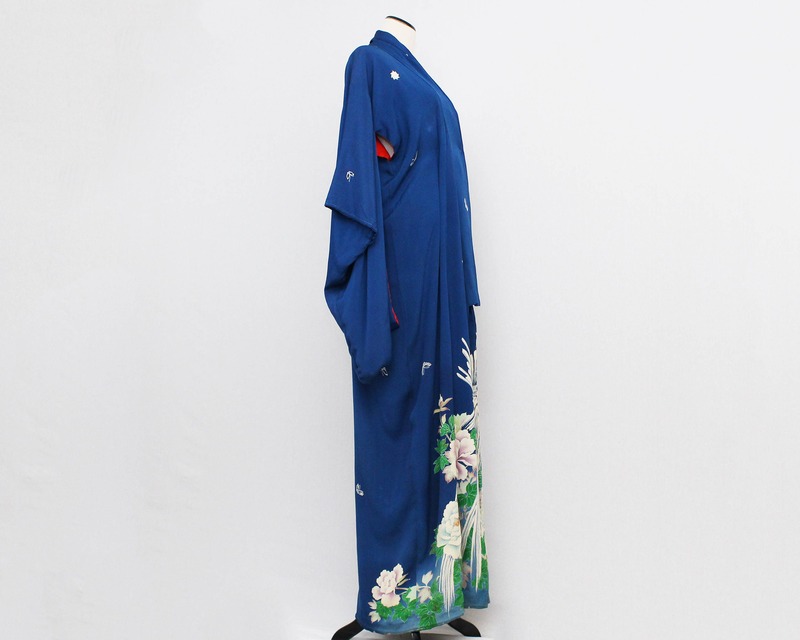 An absolutely gorgeous royal blue kimono dressing gown with red lining, Japanese floral print, and snap closure. 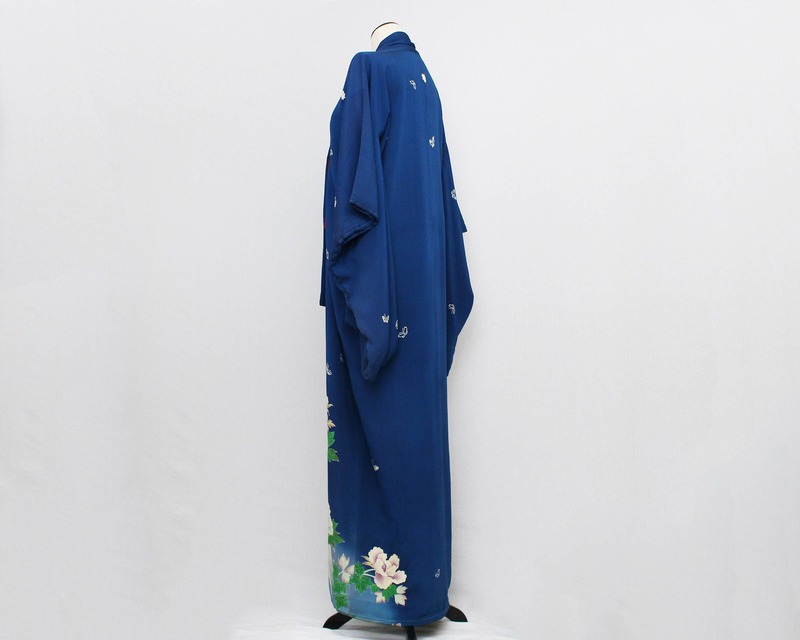 Subtle embroidery on the flowers shows the extra touches that make this a quality antique garment. 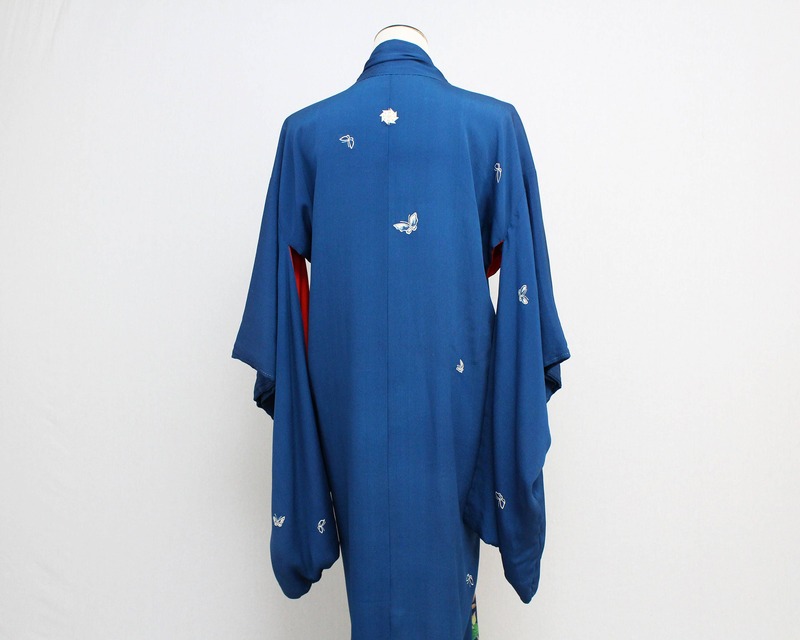 Lounge in luxury.